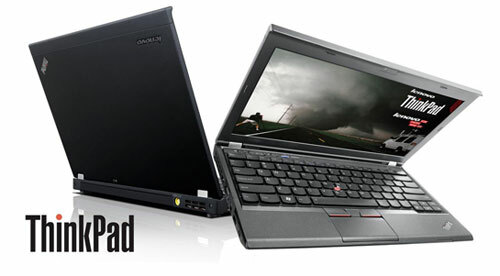 Lenovo ThinkPad X230 vs Lenovo Yoga:comparison and review. The Lenovo ThinkPad X230 is a compact laptop that brings you quality performance in a small package. It weighs about three pounds, making it light and portable enough to carry around. It features an Intel 2.6 Ghz core processor that can reach 3.3 Ghz with turbo boost enabled. Depending on the system you purchase, it comes with a 320 GB or 500 GB hard drive, 4 GB and either Windows 7 Home Premium or Windows 8, both in 64 bit. The biggest complaint about the ThinkPad X230 is the screen size; at 12.5 inches, it is smaller than the standard 13 inch screens on other systems. The battery life also falls short of expectations, especially when compared to its competitors. Still, it has a decent price point to work with and is a solid buy for the money. If you’re someone who can't decide between bringing a laptop or tablet, this is the ideal solution. Lenovo released the Yoga, a system that is a laptop but that can be flipped over to serve as a fully functional Windows 8 tablet. The Yoga can bend to almost any angle, giving you more flexibility in tight spaces and cramped quarters. 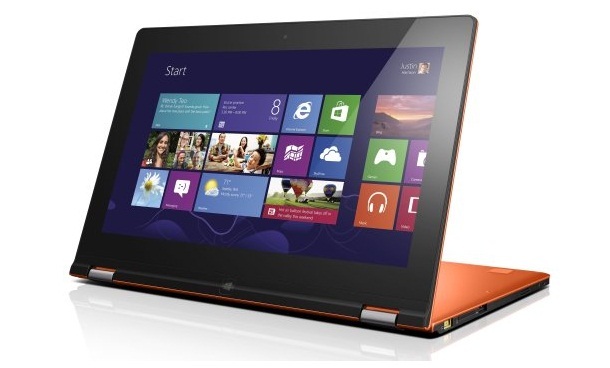 All Yoga systems run on Intel third-generation processors ranging in speed from 1.7 to 1.9 Ghz and Windows 8. The Yoga features a 13.3 inch HD+ LED screen and a minimum of 4 GB of RAM. A 1 megapixel 720p webcam is built-in to the system, giving you the ability to video chat or Skype without having to plug anything else in. One weakness is the lower resolution on the screen, which pales in comparison to other models. It’s too heavy to be an everyday tablet, making that feature more of a stopgap than for common use. The read/write speed on the DVD drive leaves something to be desired as well.